Earth Adventures > Book online for a 15% discount! 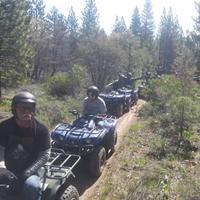 Join Sierra Adventures for an unforgettable trip exploring the challenges Mother Earth has in store for you in the Reno / Lake Tahoe adventure zone. Your best bet to see, smell and wear the high desert of Nevada and beautiful pine forests of Lake Tahoe. The Reno/Lake Tahoe area is well regarded and internationally known for hunting and fishing. 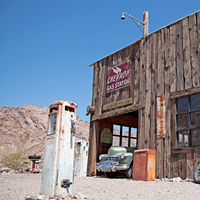 Discover and learn about the rich history of Nevada as you journey through abandoned mining towns (boomtowns) and ghost towns. 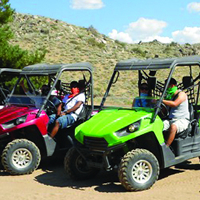 There's only one way to really experience the desert and that's on an adrenaline-charged dune buggy ride! This challenging mountain biking area is within sight of beautiful downtown Reno. Electric mountain biking allows for greater control during steep ascents and will bring you within sight of beautiful downtown Reno. 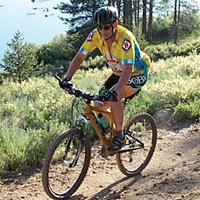 Travel Reno and Lake Tahoe's famous high sierra road biking terrain, known for its breathtaking views! 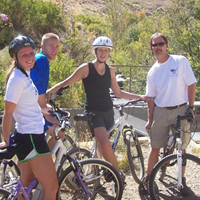 Experience the serene, cool fresh air next to the river as you road or mountain bike hidden trails. 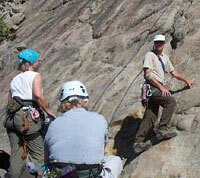 Introduction to rockwall & bouldering to advanced rock climbing tours available. Explore with ease as you glide across the landscape on these fun Segway historical tours. Experience the beauty of Lake Tahoe and the Sierra from the back of a sturdy mount, just like the pioneers did in the old wild west. 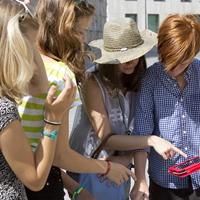 A fun party game, scavenger hunts and urban hunts can be customized for any occasion and can be made to leave lasting memories. 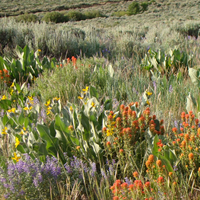 The desert provides an array of wildfowers that are meant to captivate the senses. Our expedition provides for dramatic contrasting photographs of the Sierra Nevada, Reno, Carson and Virginia City Foothills. This expedition provides breathtaking views of the valley from the rim of the mountain range. You will traverse rocky mountainous terrain at high altitudes. 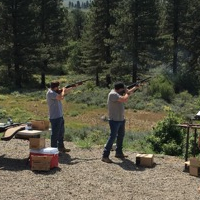 Get your shot sighted-in and warmed up for the hunt with these packages, fun for all ages. Enjoy high-altitude golf and disc golf packages with the high sierra mountain range in the background; world-class courses and scenery.